Gulp. Oh boy. That’s a “got ‘cha.” I never thought about my predilection for pens as anything more than an “I love pens” thing. Other people love pens. I’ve heard them say it. In fact, I’ve had conversations with people where we compare makes, models, and ink colors. But even in these conversations, I know I am a breed apart because in addition to these basic things, I concern myself as well with ink flow, how far out the writing tip extends from the pen, and what its weight is (the heftier, the better). I do not dare bring these things into these conversations as I suspect it would be stepping over the edge. Man oh man, I guess the jig is up. I’m a hoarder. A pen hoarder. I have boxes of pens stored throughout the house. I keep my current favorites in front of me at all times, and if someone disturbs them, I know in a second. No casual pen-borrowing from this hoarder. Those poor souls who’ve most innocently tried will never do so again. Indeed, I have tried and probably have just about every brand, make, model, out there. I have driven in blizzards to get a pen. I order pens online. I give pens as gifts. I am in ecstasy when I get a pen for a gift. I have spent much of my adult life in a quest for the perfect pen. 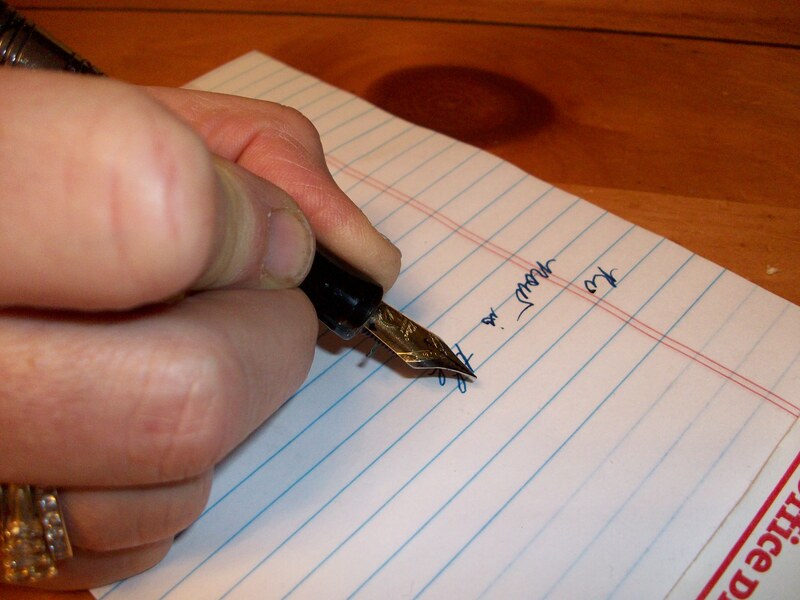 A perfect pen is like the Holy Grail for a writer. However, there exist two issues with this: it’s expensive and just as with us mere mortals, there is no such thing. So, I have a choice – continue my quest, go broke, and run out of pen storage places, or accept the inevitable and succumb to the all-electronic brigade. NOT GONNA HAPPEN. Well, see you later. I’m off to Staples! I am in a long term relationship with a Mont Blanc fat boy with an 18kt nib. Sign, I get it. Oh, you make me laugh, Anna! An 18kt nib?? Wow — what must that be like? See, my quest shall never end. LOL — Only a fellow pen fanatic can understand! !